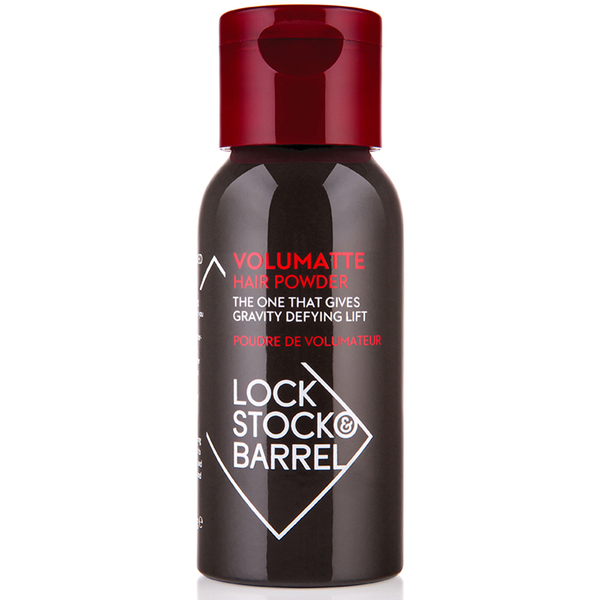 Volumatte by Lock, Stock & Barrel is a highly superior prep and styling powder that liquifies on contact to add an instant lift and extreme volume to fine, thinning and lifeless hair. Especially for men, Volumatte is formulated with an exceptional blend of expert proteins which coats each strand of hair to help thicken and restore its natural strength and rigidity. Your hair will be left looking thick and full whilst boasting an ultra matte texture with invisible hold. Perfect for the modern day gentleman.